To the men in our lives who work hard, support their families, inspire us with sage advice, and tell endless dad jokes… we love you and we’re thankful for you! Here are a few of our favorite essential oils for good ol’ Dad. Our favorite scruffy faces are always in need of a little pampering. Create a smoothing, stimulating beard oil by mixing a few drops of Eucalyptus and other essential oils depending on your preferred scent (our recommendations: citrus, tea tree, or cedarwood) with a carrier oil like jojoba. Lavender Oil is known for its sedative properties. Does your dad need to relax? Spritz a little in the shower or start diffusing it 20 minutes before bed, and Dad will knock out in no time. Let him snore all night long… It’s his day, after all. 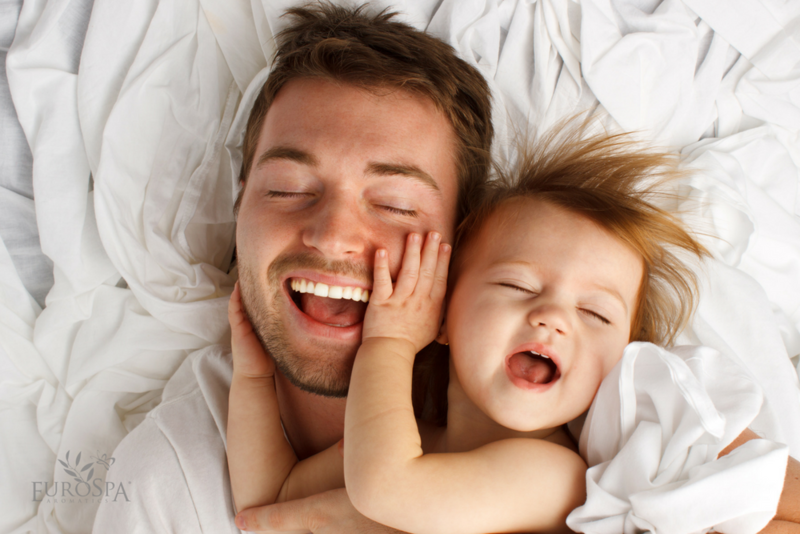 Instead of reaching for a bottle filled to the brim with chemicals and toxic ingredients, give Dad some essential oils to mix as he pleases and help him smell great. Some classic options are Cedarwood, Eucalyptus, Peppermint, Tea Tree, Lavender, and Citrus. What essential oils does your father love?